Discover your most effective leadership style, prove it to the horses, step into your authentic power, and watch your success unfold! 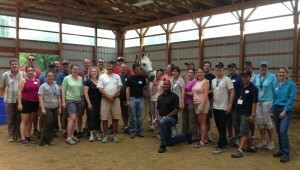 These unique workshops, as featured in Shari’s best-selling book, Take the Reins! 7 Secrets to Inspired Leadership, blend the best of business strategy with emotional and social intelligence. Horses read energy and intention and react to your emotional state, objectively reflecting back your innermost feelings. Enjoy fun, interactive activities along with short lectures and discussions to raise your self-awareness for better relationships, increased authority, and higher productivity. The horses aid in overcoming limiting beliefs, tension, and doubt so you can lead with confidence and clarity and achieve your goals! 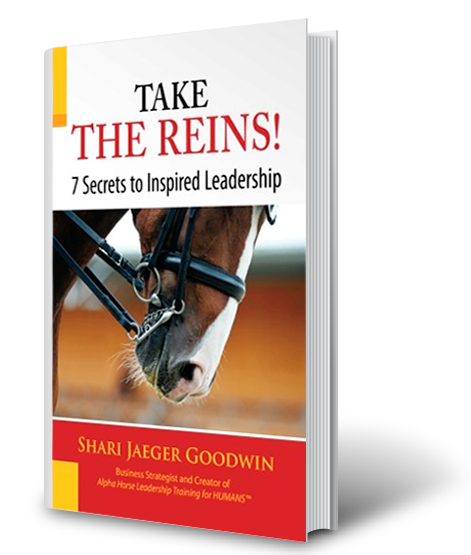 All activities are directed and facilitated by Shari Goodwin, Business Strategist and Leadership Coach, owner of Jaeger2, with over 20 years of business experience and more than 25 years working with horses. The workshops use experienced horses for enhanced learning and ground-truthing the exercises. No horse experience is necessary, all activities are conducted unmounted in an indoor arena.